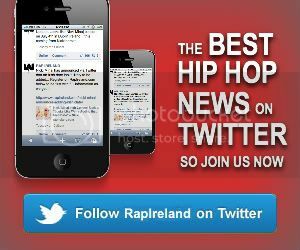 RapIreland.com – The Home of Hip-Hop and RnB in Ireland FEATURES Maverick Sabre up for MOBO! Maverick Sabre up for MOBO! First held at the Connaught Rooms , London in 1996 this event was originally launched to celebrate “Music of Black Origin”. The definition has since morphed a little as the awards now encapsulate and celebrate “all types of music from urban culture”. This evening, acts of all genres, cultures and creeds will gather in Glasgows SECC for the annual celebration that is the MOBO Awards. Alongside Maverick in the Best Newcomer category is another artist making it happen Wretch 32. The North London rapper is this year’s most nominated male act with 4nominations and as well as performing on the night will also fight it out with Rizzle Kicks, Tinie Tempah and Wiley for Best UK hip hop/grime act. His debut single Traktor, which reached number five in the UK singles chart, has been nominated for best song. Hosting this years event will be Jason Derulo and Ailisha Dixon whilst the backstage area should be interesting as Dappy and Tinchy Stryder present all the goings on behind the scenes. The evening will include performances by Jason Derulo, Dappy, Tinchy Stryder, the legendary Boys II Men, Alexis Jordan, Katy B, Wretch 32 and a very special tribute to Amy Winehouse.